Update: A few more details have been revealed, including this snippet of story info from a press release. The description for the above YouTube video also reveals the game's release date: Spring 2016. You can now watch Bethesda's entire Dishonored 2 E3 showcase below. Original: Dishonored 2 is real. 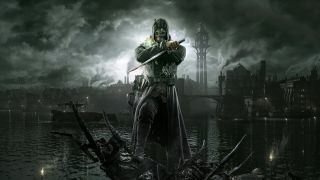 After an accidental broadcast all but made it official, Bethesda announced the next Dishonored at its E3 press conference. No release date was announced, but spokespeople from Arcane Studios did confirm that there will be two playable characters in the sequel: Corvo Attana from the original, and Emily Kaldwin, who appeared as an NPC in the first game. Each will boast their own powers and gadgets, and like the original, you can complete the game without killing a soul.